The 1st Special issue in The Alien Figurine Collection is the intimidating Alien Queen. The Alien Queen is the largest and most intelligent member of her deadly species. She remains immobile while laying eggs but will abandon her brood to viciously attack when threatened. 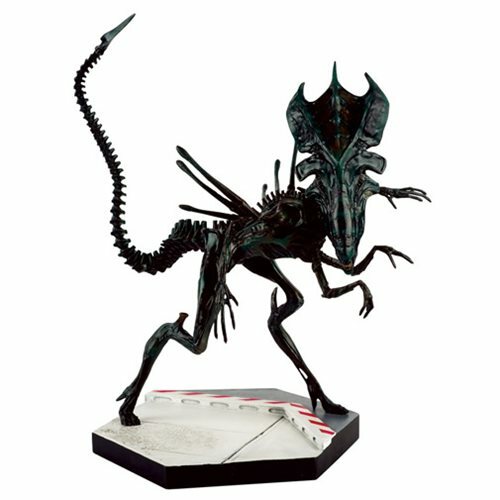 The Xenomorph Queen figure is produced in high quality polyresin and stands over 9-inches tall. Ages 14 and up.